It took me a long time before I decided to buy this book on the assumption that "audioversions" of TV shows don't work very well. How wrong I was! The main reason I think is that because of the high focus on textual interaction as opposed to cinametic humour, the jokes do not get lost on the listener. (E.g. 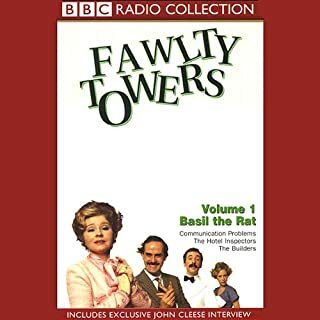 with audiobook fawlty towers a "describer" is needed to describe the cinematic situation in order to get the joke through). 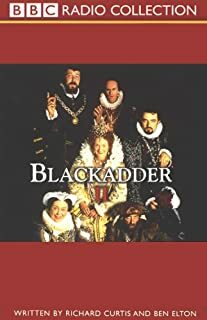 What makes the show fun is the interaction between the very steriotypical characters, "idiot/insensitive general, pencil pusher, gung ho officer and the ultimate cynic who's main objective is "do everything not to get killed"
This book is very very funny, but also very sarcastic at how it sneers at British history. The TV show was controversial as it obviously doesn't spare British/Allied ignorance to life. "After 17 failed attempts they would never expect us to try an 18th". In that aspect the book does have a sad historical value. Rowan Atkinson himself stated that the distance in time to 1917 only made it possible to write a parody about "Flanders Fields". The only thing i found a bit annoying was the "canned laughter" but I got used to it after a few minutes. Even if you didn't see the original show, I still recommend the book! Love it - made me laugh so much I was as out of breath as "an asthmatic ant carrying a very large bag of shopping." If you like dry English humour, you will enjoy Blackadder. Doesn't lose a thing just being audio rather than the original TV show. A series for generations. Enjoyable from the opening scene to the last. As an avid fan of the series this show translated well to audio cast. Works great as an audio performance. Especially if you've watched the TV version previously. Great performances. Extremely entertaining. Hilariously sharp wit. This is dry and biting English humor at its best. This is British conedy at its best. : " since this war stsrted we have advanced as far as an asthmatic ant going home with the shopping". I listen to this book while on the treadmill. I look forward to the "reruns ". 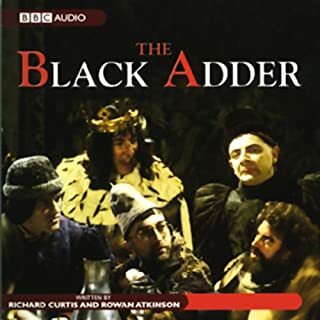 By far the best of the Black Adder series. 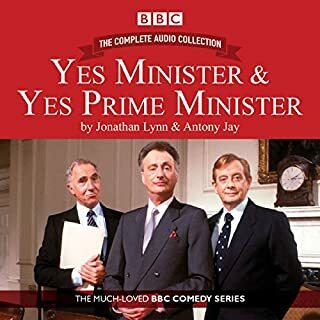 Although written as a television series this set of six episodes works very well as audio entertainment. It's very funny with some sharp insights into the waste and hopelessness of the First World War. What need I say, Blackadder is Genius! classic brilliance from the Blackadder team. always makes me laugh. baldrick's bullet at the start is genius. Loved listening to the series. 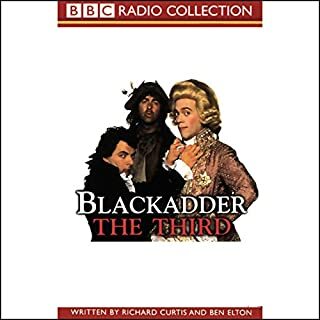 This audiobook was the best out of the series as there wasn't many visual jokes which you need to see to appreciate it unlike the previous ones especially the first Blackadder. Just as good as watching on the TV, I found the jokes worked every bit as well. This is one of the best television series.Very funny,but at the same time very poignant. Just wonderful Darling!! 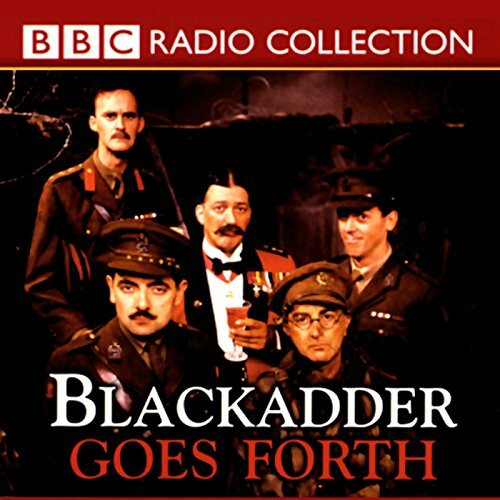 A delight to listen to this title again, with such a comical storyline acted out well considering the content being WW1. This was one of my very first purchases on audio. I have never laughed so much in a long time. 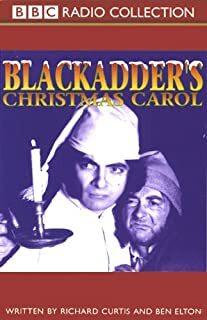 My favourite episode is Corporal Punishment orders for Operation Insanity arrive and Blackadder breaches regulations by eating the messenger pigeon Speckled Jim - who just happens to be General Melchett's closet boyhood friend. All manner of mayhem breaks loose including Baldrick mixing up letters for legal representation and he ends with George blowing all chances of not guilty at his Court Martial, much frolics at court and afterwards. Despite it being for TV the audio works really well and makes travelling to work a pleasure rather than the usual chore. Well worth buying. Highly recommended. I love the wit and humour that goes throughout the wonderful audio book. A must!